Enjoy a unique dining experience with a Private Chef service in the comfort of your own home. Let Take a Chef turn your kitchen into one of the city’s top restaurants but with one crucial difference: the entire affair is designed around you. Tell us your culinary cravings and our chefs will send you menu proposals tailored to your tastes. All you have to do is choose your favorite one. Your chef will buy fresh, local ingredients on the day of the service and cook directly in your home. They will of course provide table service during the meal and will clean everything up before they leave. Simply click below to give get started! We want to create the perfect experience for you and your guests, and with over 100 chefs in Miami itself, we’re sure we’ll find the right fit. All of our chefs have a decade of experience and have been trained in the best cooking schools in the country. Once you receive their menu proposals, you’ll be able to view their profile to see details of their experience and make sure they suit you! You’ll also be able to contact them directly so as to make any changes you want to the menu they have proposed. 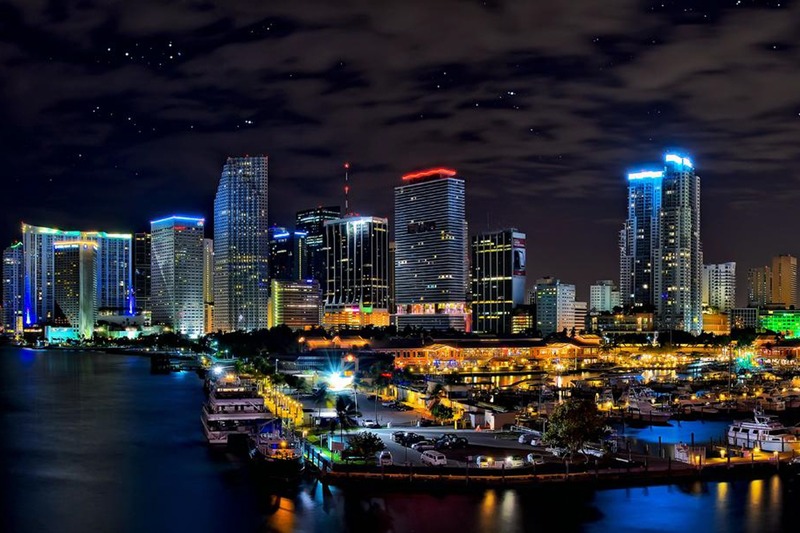 Miami has a vibrant restaurant scene, with exciting culinary options like Zuma, Il Gabbiano and Truluck's Restaurant. At Take a Chef, we want you to bring that scene home, for an intimate and personalized experience, where the chef’s efforts are entirely devoted to you and your guests. Why not give it a go? Click above to start! One of the best experiences I've had at home. Exceptional. The first time we tried Take a Chef was as a gift but this time I bought it for us. I love eating this way! What I want to emphasize about the experience was the professional treatment by our Chef. He knew how to live up to expectations! The food was great. Delicious entrees and incredible desserts! The ingredients our chef brought were delicious and she was fantastic in the kitchen. I think next time I'll try the 'cooking school' option! It was a perfect evening for everyone. Quality and comfort epitomized.